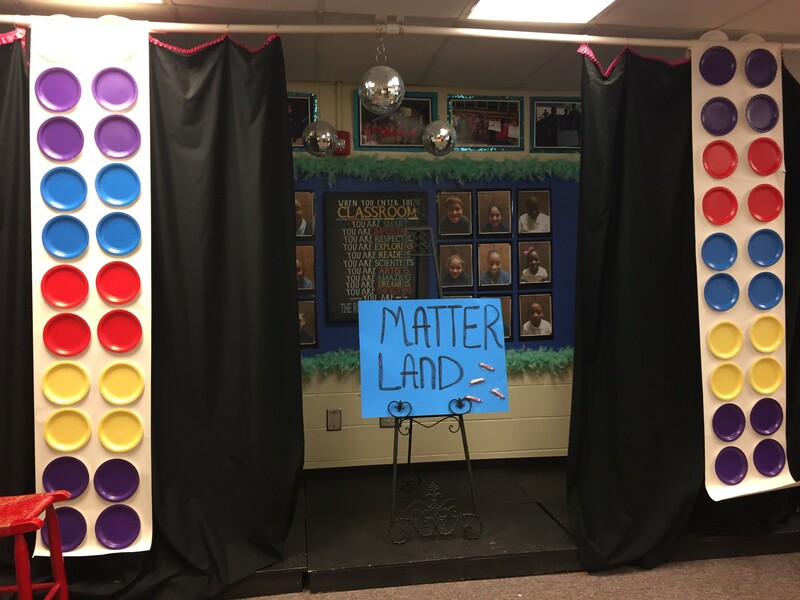 Welcome to Matter Land! It’s the place where students learn that matter has different phases including solids, liquids, and gases. The first challenge in Matter Land was to get rid of all Mattermites, which are quickly taking over Earth. Students used their knowledge of physical and chemical changes to produce a gas to rid the Earth of these pests and thank goodness it worked! 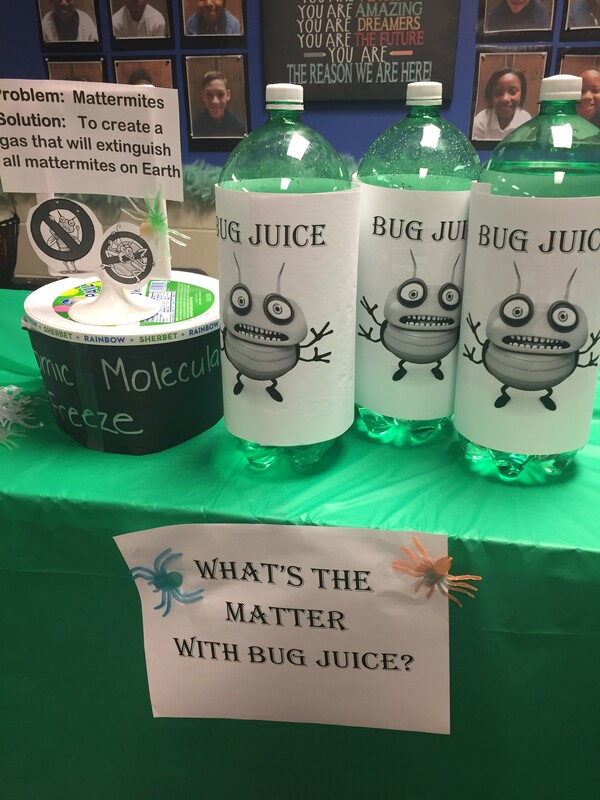 The combination of atomic molecular freeze (sherbert) and bug juice (lemon lime soda) created the gas to exterminate mattermites for eternity! The next challenge was to decide whether cotton candy was a physical or chemical change. Students observed granulated sugar become strands of floss when heat was applied. 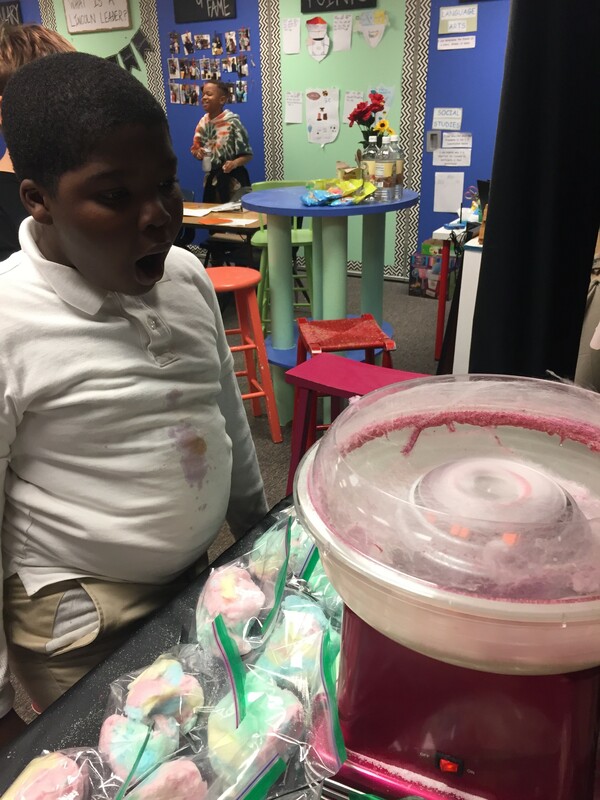 After a tasty experiment and a lengthy debate, students determined that cotton candy is an example of physical change. 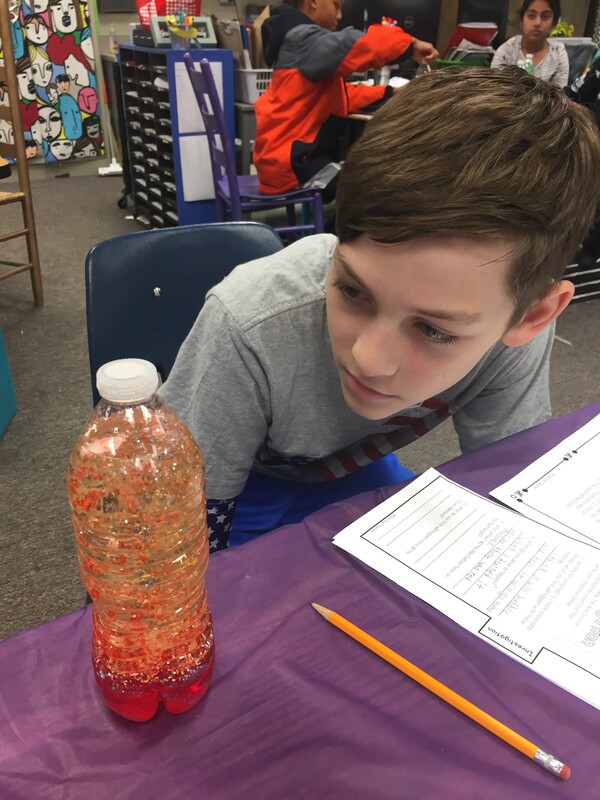 The final challenge was to create a lava lamp using oil and water. 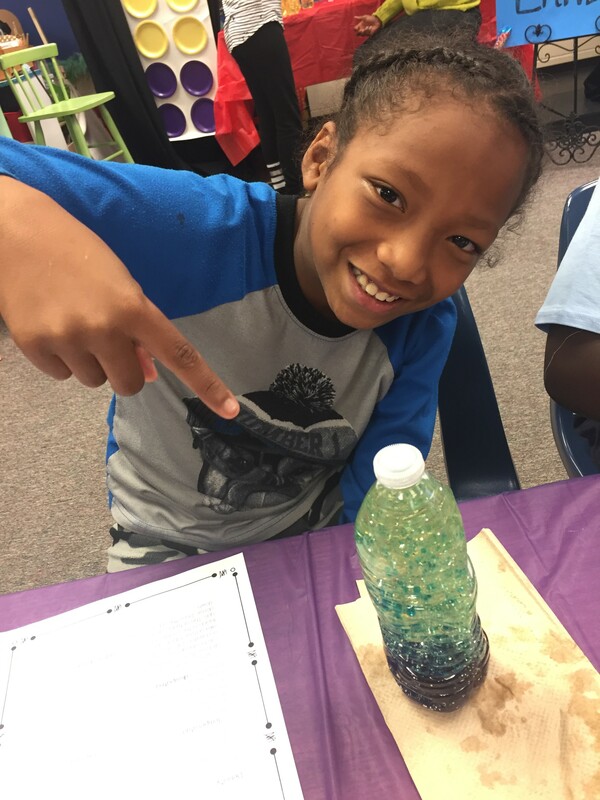 Students learned that oil and water never mix. The denser liquid (water) sank to the bottom while the oil remained on top. 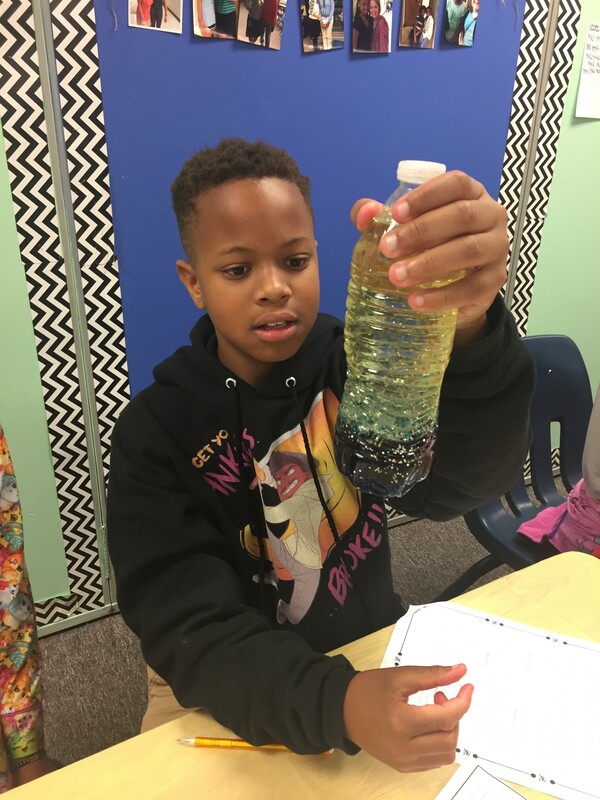 Students used Sodium bicarbonate tablets to produce a carbon dioxide which produced gas bubbles that rose through the oil carrying the water to the top. 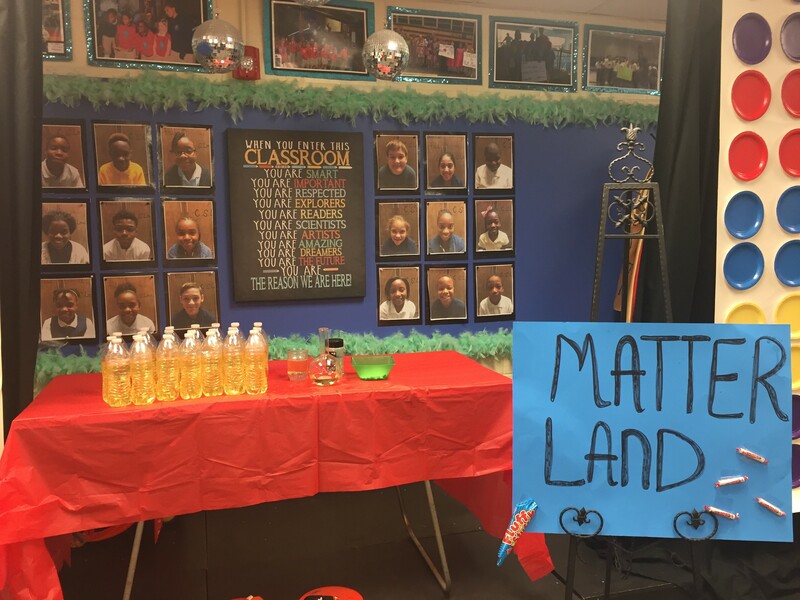 The results were 21 working lava lamps in Matter Land!